Progressive Jackpots came into existence at the casinos in year 1980 and since then players have won great prizes in just spinning of the reels at the casino pokies machines. Online casinos then were born in 1990 which led the progressive jackpot to boom and splash everywhere and become popular worldwide. When you enter the casino to play whether online or land based you can check out the details on the biggest current prizes, and even claim great welcome packages to play these pokies for free. Progressive pokies are a special type of game where a small amount, typically 1%, of every bet made gets put aside, and the more people play the game, the bigger and faster the pot will grow. 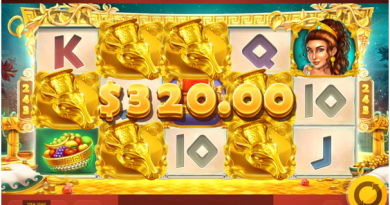 Since the technology to link many games together first came out, progressive jackpot games have become far more popular, as there can be hundreds, or even thousands of players on the same game, across the world, at any one time. Previously, the jackpots were limited to a single machine, which meant that prizes couldn’t rise very fast and either paid out relatively small wins, or paid out very infrequently. But all that has now changed, and lots of people have become rich playing progressive jackpots pokies at casinos. But there is one truth about progressive jackpots that they are very elusive. The reason is that the odds of hitting the progressive jackpot are very small. But this doesn’t mean that you do not play progressive jackpots. As long as you know what to expect in playing progressive jackpots and have made your expectations very realistic, there’s no harm in playing the game. 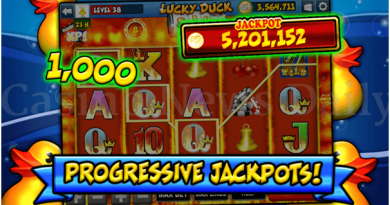 The Stand Alone Progressive Jackpot is a pokies game machine that is not linked or connected to other pokies machines. This is the machine that has a fixed jackpot prize. A certain percentage from the coins played is taken out and added to the jackpot as an award for the highest winning combination of symbols. The Stand Alone Progressive machine has a meter placed on the front showing the progressive jackpot. Usually, the payback of these pokies machines is equal to other pokies machines of that type of denomination but the coins played are just distributed in a different to vary the amount of the progressive jackpot. The progressive jackpots in Stand Alone Progressive machines are much less than the progressive jackpots from linked pokies machines. The In-House or Proprietary Progressive Jackpot machines are composed of a group of machines that are linked together. These machines are owned as well as operated by the casino. 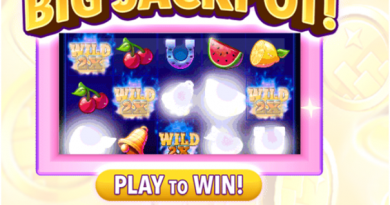 The progressive jackpots on these types of pokies machines are not the multi-million-dollar kind but the prize is considered as a substantial win. The In-House or Proprietary Progressive machines are most often hit compared to wide area progressive jackpots. The Wide Area Progressive Jackpot machines are the types that offer the life-changing progressive jackpot. These machines are connected or linked together from various casinos. An independent operator is responsible for operating them and the casino only gets a share from a percentage of the winnings. The progressive jackpot is so large but the chance of getting it is very small. One thing to remember is that playing progressive jackpots is totally on your luck and destiny of the time and place. That is the reason that it is not always good to play progressive jackpot. If you consider your aim as to have fun with the casino games then there are so many of pokies and other table games to enjoy at the casinos. But if you are only desperate to play progressive jackpot pokies machines then wait for the right time. Also it is wise to play responsibly and for that keep a specific bankroll or money that you wish to stake to play on these games. Because with no guaranteed win you can lose all. Therefore have the choice to play very carefully. 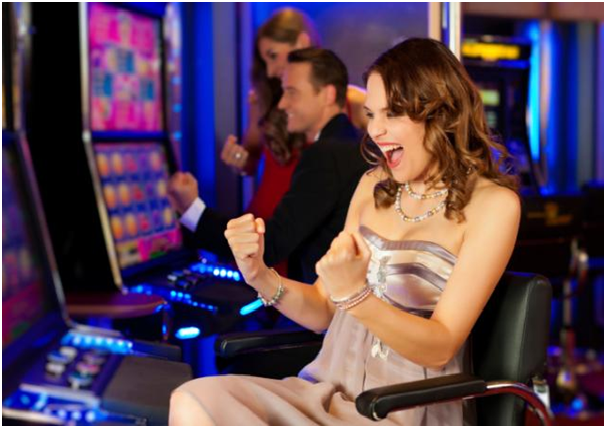 Hitting the progressive pokies for jackpot win needs patience and your wise decision to hit the win and play when the pokies machines is about to win.